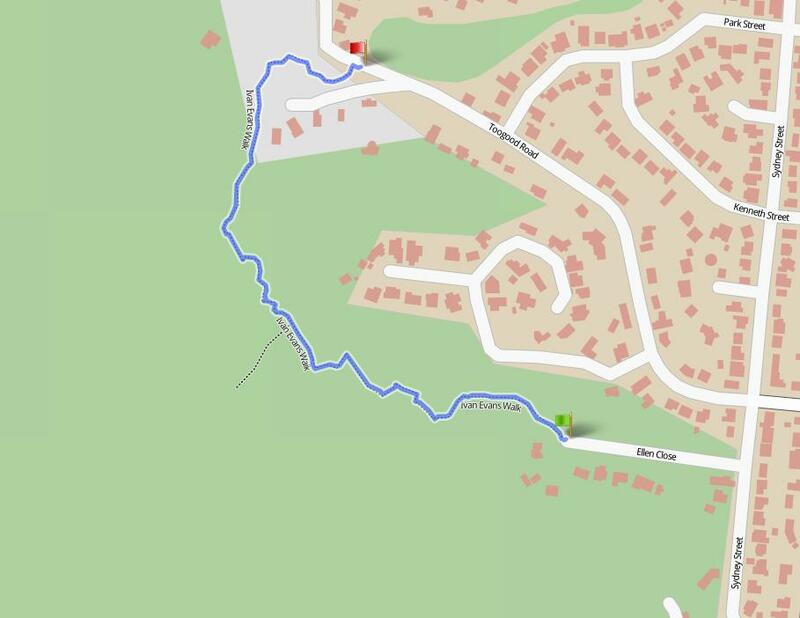 Ivan Evans Trail is a Class 3 walking track of approximately 2.4 km return (1 hour return). It winds through dense rainforest and vineforest behind the suburb of Bayview Heights and climbs gradually to a lookout. This "hidden gem" of a track starts from Ellen Close and continues to Toogood Road. The lookout is located about 700 metres from the Toogood Road trail head but foliage obscures the view of Cairns and Trinity Bay. After the lookout, the trail to Toogood Road consists of a series of switchbacks and travels over several boulders. It is relatively easy to walk but sturdy footwear is recommended as some sections of the trail can be slippery and steep. The trail is best done after 8am and not after rain. The trail was named after Ivan Evans, an early landowner who donated land for one of the city's earliest water supply reservoirs.